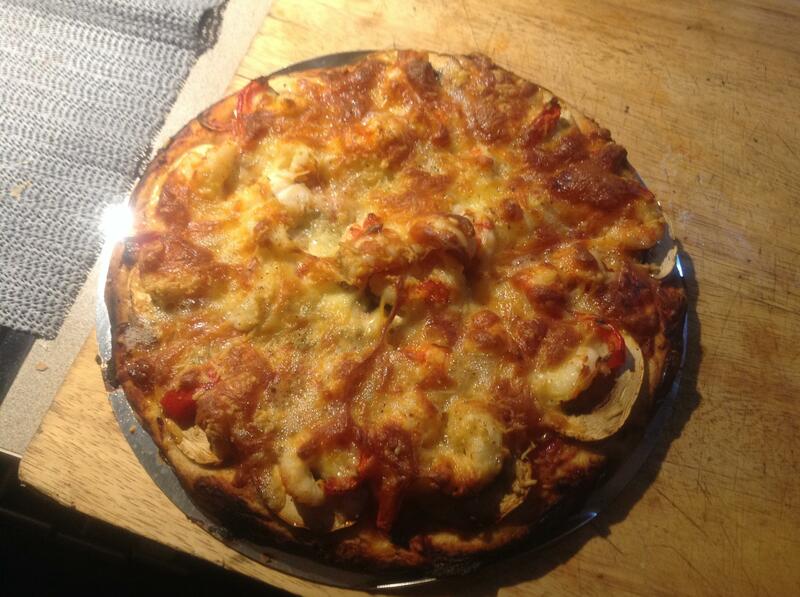 Made salmon crayfish and cream cheese pizzas on sat. Tommy and Dan88 like this. We cheat and use a bread maker to make our bases, throw in some italian herbs (or others) with these and get flavoured bases too. Another technique we use to stop it going "Squishy" is to put the cheese on after the sauce and before the other toppings. She uses home made tomato relish as a base on her one of her pizzas. Best pizza I have ever eaten. Red claw (Queensland freshwater cray) very Yum.Cooked in the baby Q.
veitnamcam, NRT, mrs dundee and 1 others like this. 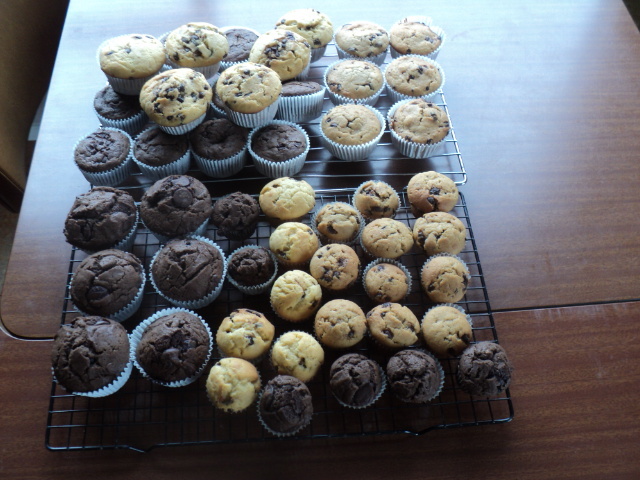 Hi i had some bananas to get rid of so i made some banana chocolate chip muffins and some midget chocolate chip muffins about 7 dozen good for school lunches and to eat too yum. EeeBees, HILLBILLYHUNTERS, nz_hunter and 1 others like this. There's a pizza oven at the place I camp and the chef that built it made forty pizzas for the campers. Cheese always on before toppings, that way the toppings get heated/cooked to. Use minimal types of ingredients, best results are made keeping it simple. We cook our pizzas in the Weber on a pizza stone, come out perfectly cooked and smokey! madjon_ and smidey like this.